Work last week brought me to the Muscogee (Creek) Nation, where I was lucky enough to spend three and a half days learning about a program that helps people make one of the hardest and yet most important transitions of their lives. 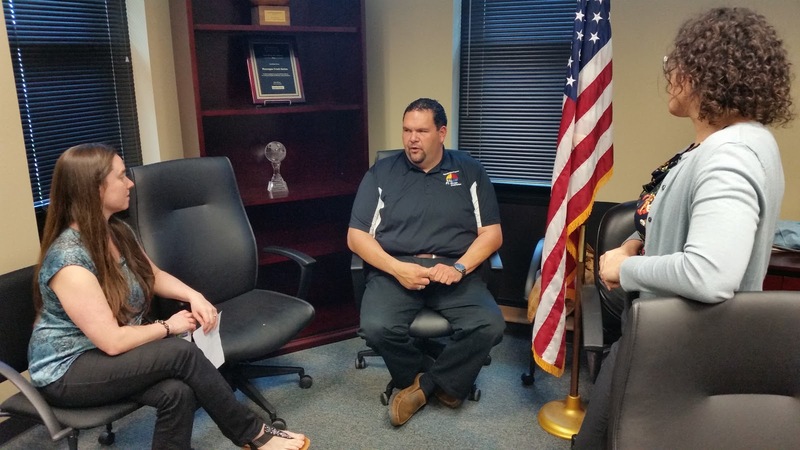 I (and my colleagues) were inspired by everyone we met: from the staff of the Muscogee (Creek) Reintegration Program and their clients, to those who work for agencies that partner with them and the Muscogee officials who fund them. Leah, left, Tony and Adelle. 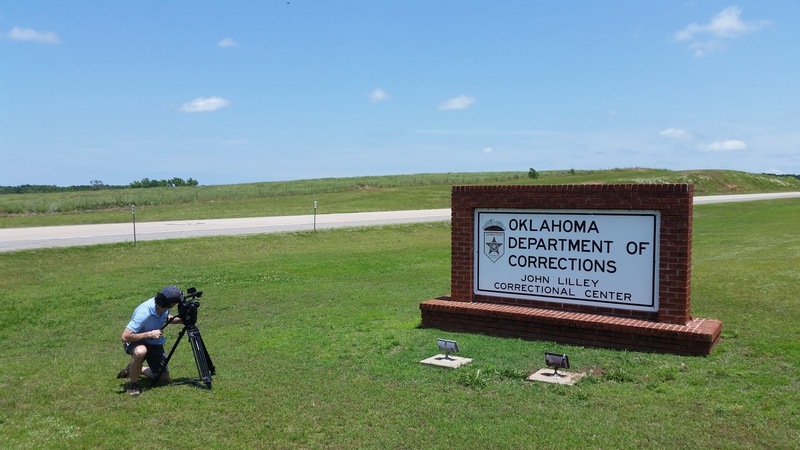 We were there to make a video for the Tribal Justice Exchange and its website Tribal Access to Justice Innovation about how the Reintegration Program helps tribal citizens returning from incarceration build new lives. 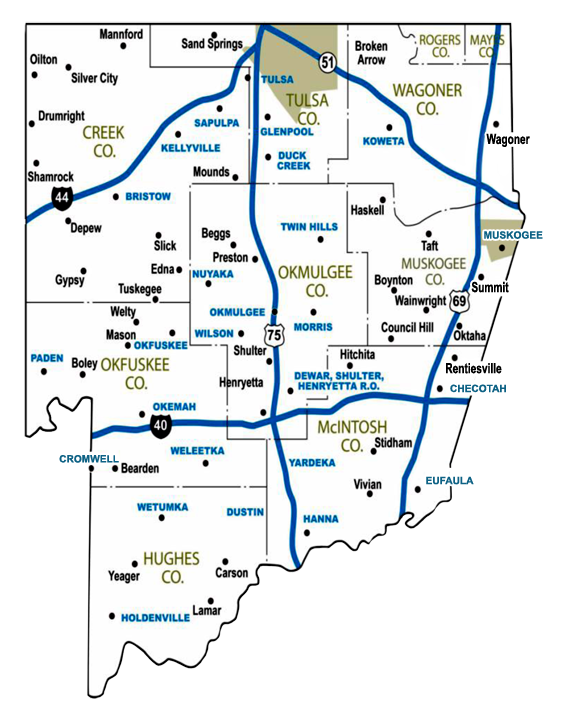 In a reflection of Muscogee values and culture–which emphasizes restoration and community healing–the program helps ex-prisoners find housing (and provides up to four months rent), find jobs, re-build relationships with families, and make fundamental changes in their lives. 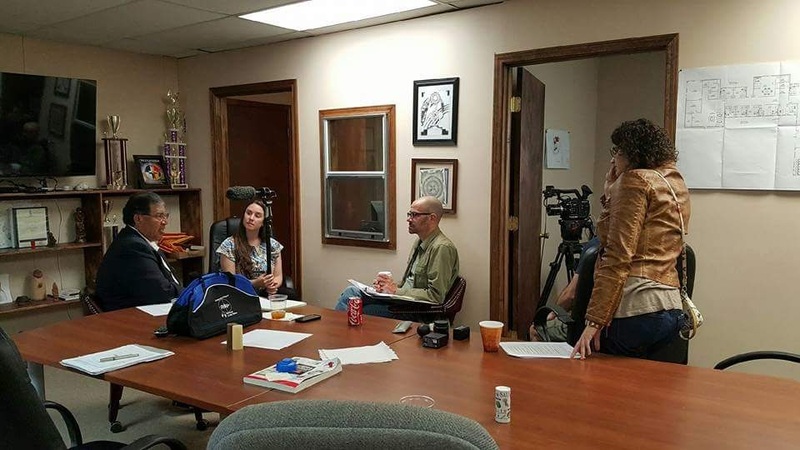 Over the course of 11 years, the program has earned the support of the community, making a persuasive case that everyone benefits when an ex-prisoner is supported rather than shunned. Reentry programs not only lower recidivism but strengthen communities, helping formerly absent parents become productive caregivers and transforming inmates who cost the state thousands to house and feed into law-abiding taxpayers. Not only was I impressed by the dedication of the staff, led by Program Director Tony Fish, but I was impressed by the commitment of the four former inmates we met, all of whom expressed through words and actions a strong desire to reintegrate with their communities and families. I saw that resilience in Tony’s staff, who showed incredible commitment to their clients, and in the clients themselves. One remarkable woman, Allison, had suffered trauma and addiction but had transformed herself in prison, where she built bridges back to her family, found purpose through religion, and took classes to learn new skills. When she was released, she gathered recommendations from her teachers and others who had seen her grow and now has a job as an advocate for victims of domestic violence. Juan Carlos films staff from the Reintegration Program speaking with a client who had just moved into a new home. (I’m holding the boom). Making new friends: Juan Carlos, Leah, Adelle and I felt very lucky to make new friends in Reintegration Program staff Carrie (third from left) and Anita (right).